A note from FishDuck.com: Today we have a unique treat, this article from a highly successful coach gives an inside perspective football fans don’t often get to see, the direct insight of football concepts from a coach in the know. 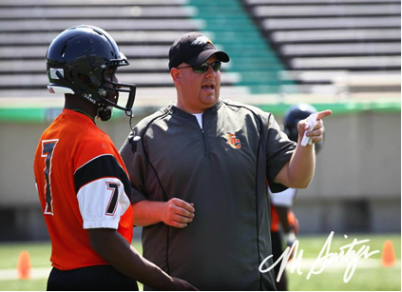 This week Coach Donnie Mays joins the Coach’s Corner, the offensive coordinator at South Charleston High School in West Virginia. We encourage other coaches that are interested in possibly writing guest columns providing their unique insight to please contact us. For now, here is Coach Donnie Mays! 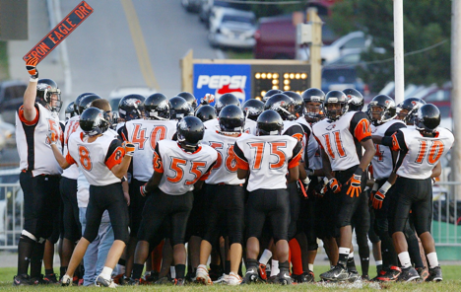 At South Charleston High School in West Virginia, we run a no-huddle, spread-option offense. It’s a fast-paced offense, predicated on tempo, built around the inside and outside zone read. Our playbook consists of a total of only nine different run plays, with each of them containing pass options. These passes can be anything from a bubble, a slip, or a smoke screen to slants and fades. 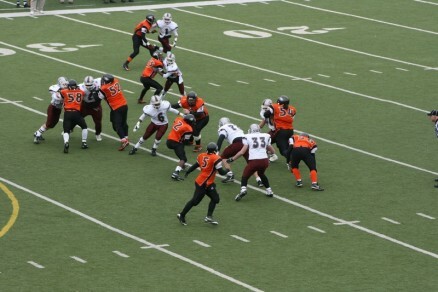 For example, the most basic combination would be an outside zone with a bubble screen option. We call this part of the offense RPO’s (Run/Pass Options). 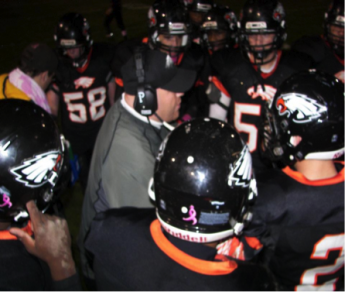 The system run at South Charleston, if compared to current collegiate schemes, is similar to a combination of Rich Rodriguez’ (Arizona) offense and Chip Kelly’s (Oregon) system. I’ve studied Rodriguez since he was at Glenville State College, and Chip Kelly since he was at New Hampshire–both coaches are excellent at what they do. With so much of the success of the offense dependent on the speed at which it is operated, there are several things to do to ensure the fast tempo is maintained during the game. The first step seems simple enough, but very necessary–I explain the tempo to the officials before each game. I think it’s very important that the officials understand the pace at which we wish to play, so that they can do their best to ready the start of play as quickly as possible. During the game, I like to use the same personnel groups as much as possible. Our playbook is simple enough that players can get into all of our formations from each of our base personnel groups. For example, if a play calls for a tight end to be used as a split-end, it can easily be accomplished with the players already on the field, and quickly transition back to a traditional tight end spot on the next play if so desired. If we want to set him somewhere between the outside receiver and the offensive tackle, then we’ll put him in what we call a “Nasty” split. By keeping the same personnel group on the field, it allows the offense to operate at the fastest tempo possible. If coaches substituted players to get into different formation sets, then the defense has the right to substitute as well. Substituting slows the tempo down because, by rule, the officials will stand over the ball until the defensive substitutes are on the field. By not substituting, this gives the offense the upper hand in playing at a fast pace. The defense can still substitute (even though we don’t), but it is a risky venture because the offense may already be set up ready to run the next play while they are still substituting players on and off the field. This can lead to a penalty for too many players on the field, or result in the players not being set in their positions yet with the proper pre-snap checks, causing confusion and hesitation. Calling plays versus a defensive coordinator is a lot like playing a game of chess. Chess takes patience, but it also requires thinking many moves ahead–the same goes for calling offensive plays. It is important to have many plays ready to go for different scenarios, and it is an unknown as to what to expect from defensive coordinators. They all stay within the framework of their scheme, but they might throw some things out there that haven’t been seen on scouting reports or in film studies. The Answer Sheet was acquired from Coach Rich Rodriguez while he was at West Virginia University. It is an excellent tool and helps to eliminate over-thinking and hesitation, allowing coaches to deliver the play call to maintain the fast pace. The quicker that the play can be relayed to the players on the field with less thinking involved as far as what to run the better. Just like substitutions or referees not quickly placing the ball, hesitation from coaches in delivering the play call to analyze the situation results in time wasted with the athletes having to think rather than do. I don’t want our kids to think, I just want our kids to play fast and have fun. With all of that said, the toughest part of play-calling would be making sure that the offense is prepared to have the best answers for whatever the defense might present. In West Virginia, teams trade the two most recent games played for film breakdown. Coaches break down those two films, plus the previous year’s game versus the same opponent (if available). The film then gets broken down further into specific parts. The first thing coaches look at is how defenses align to formations similar to the ones utilized in our offensive attack, and what coverage they like to use against those formations. Next, down and distance is observed, followed by field zones, and blitzes. After that, how do defenses adjust to motion and plays in which they have given up big chunks of yardage. We call those plays explosives (runs of 12 yards or more, screens of 14 or more, and passes of 16 or more). The final step is to compile the information into a computer system and print out scouting reports. In all of these film breakdowns, the focus is primarily on match-ups and defensive personnel. Match-ups, specifically exploiting mismatches, are the key to this type of offense. First and foremost it is always players that win the games, not coaches. Our job as coaches is simply to put them in space to make big plays, providing the players with the best opportunity to utilize their skills to achieve victory. After coaches review the scouting reports, the next step is to prepare the call sheet for the week. This works out to roughly 30 variations for each category, and with five different categories the playbook then expands out to around 150 options to choose from in any given scenario, with mere seconds to decide which is best for the circumstances. It is very important to not try to change identity or add plays from week-to-week. The point of repetition in practice is to master what we can do, and not add on more beyond what has been proven to work. It is vital to stay within the framework of the offense, don’t get overly complex, as with nuance comes more opportunity for miscues. Once a game has begun, early on there are several factors coaches look for to determine adjustments as the competition progresses. Coaches want to see if the opponent has strayed from their original schemes based off of the scouting reports. Coaches also check to see if they are playing different players at unusual positions, such as a defensive back at a linebacker position, to match the offensive skill player’s speed or account for any apparent mismatches. After that basic information is analyzed, the focus turns to how they are defending the base set of the zone read offense, the shotgun triple option. The popular move by defenses recently has been to use a “Scrape-Exchange” (explained in a recent FishDuck.com video here) to minimize the effectiveness of the triple option, forcing the offensive players executing the play to have to hesitate slightly reading to see if the defense is doing this. Coaches also want to know if the defensive line is slanting or angling against the offensive line, or simply attacking straight on in an attempt to create deep penetration. Next check to see what type of pressures they are attempting, such as field or boundary blitzes, or if they are using dog blitzes. A couple of other things to also check include how the defense is using coverage and if the match-ups are working to either team’s advantage. All of these reads amount to breaking down film progressively in real-time, at a much faster rate trying to decipher advantages based on what is seen in each play without the advantage of slow motion or replay. However, whether it is breaking down film, or making changes based on observations during the game, the basic goal remains the same—get the ball into our best player’s hands with the opportunity to score. The hope of course is that based on the film study and in-game reads that the game plan is working and can be continued throughout the contest. However there are those situations where it seems at times like nothing is working and it is time to try something different. (1) Is the ball getting into the hands of the play-makers in the best position to make a play? Every team should have at least one play-maker that is dependable to get positive yardage when given an opportunity. If that isn’t happening, have coaches done enough to ensure that the play-maker has been given the ball in space? (2) Is it time to consider running a trick play? Sometimes just using a trick play helps to re-open the original game plan, whether or not it is successful as it forces the defense to have to be prepared to defend it. The most important thing to keep in mind when things are not working is to never panic. Players feed off of the coach’s emotions, and when they see a coach panic, they too begin to panic. In the game of football, panic is not good for anyone. A great example of this is the 2011 game between Oregon and USC. The Trojans got up early and often, but Oregon never panicked. Although Oregon came up on the short-end at the very end of the game, they nearly pulled off a tremendous comeback when the game could have been a blowout by making methodical adjustments attacking USC in the second in a way that allowed their play-makers an opportunity to get the ball in open space. This fake-reverse on a kickoff return in the 2011 USC-Oregon is a great example of how coaches implemented a moment of hesitation in the defense allowing a play-maker to get into open space. For aspiring offensive coordinators who think they have the knowledge to break down film, compile a game plan, organize and develop their playbook, and make adjustments in game based off of what the defense is presenting; I suggest absorbing as much information about the game they can find. There are many tools available to current and aspiring coaches: books, instructional videos, coaching clinics, and many football-related websites like FishDuck.com. For coaches wanting to pursue an offensive coordinator position, the best thing they can do is study defenses. 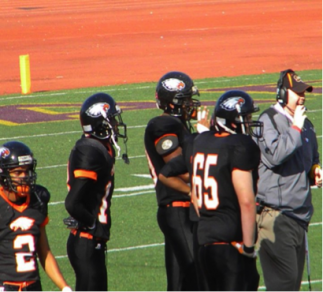 I spent four years at another school on the defensive side of the ball coaching and learning defenses. Understanding how a defense functions and counters offensive attacks gives insight as to how best to neutralize the counter-attack and expose a defense’s weakness. Being surrounded by the right kind of personnel is also very important. A solid work environment of mutual respect and shared ideas between coaches is good for everyone involved. Trust between coaches to make the correct decisions, as well as being open to critiques, is important in maintaining what is in the best interest of the team. I am incredibly grateful that at South Charleston we have a head coach who trusts me enough to give me complete control of our offense. Regardless of the chosen system run, the basic premise does not change. Find the best means to get the ball in the hands of the best players with an opportunity to make a play. If that is done successfully and repeatedly, the coaches have done their job in providing the team with the best chance to achieve victory.